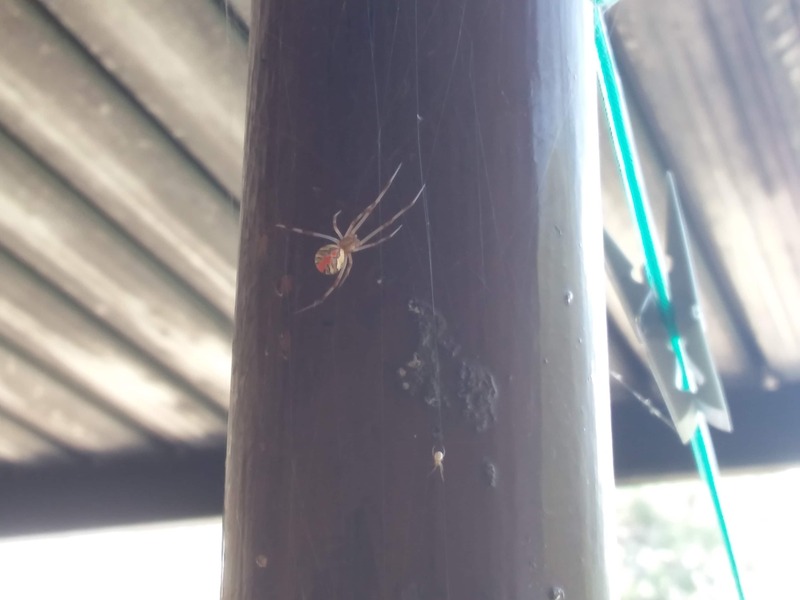 Hi, she looks like an immature female redback, Latrodectus hasselti. When female spiders are just on the brink of being developed enough to mate the males sense her chemically and swarm around her to compete to be the first to deliver sperm. There is at least one male in the photo too. They are much smaller than the females and approach very carefully to mate to try to get it done before they are killed. Hi, I think you have a juvenile redback there. another couple molts, it will have the traditional look.